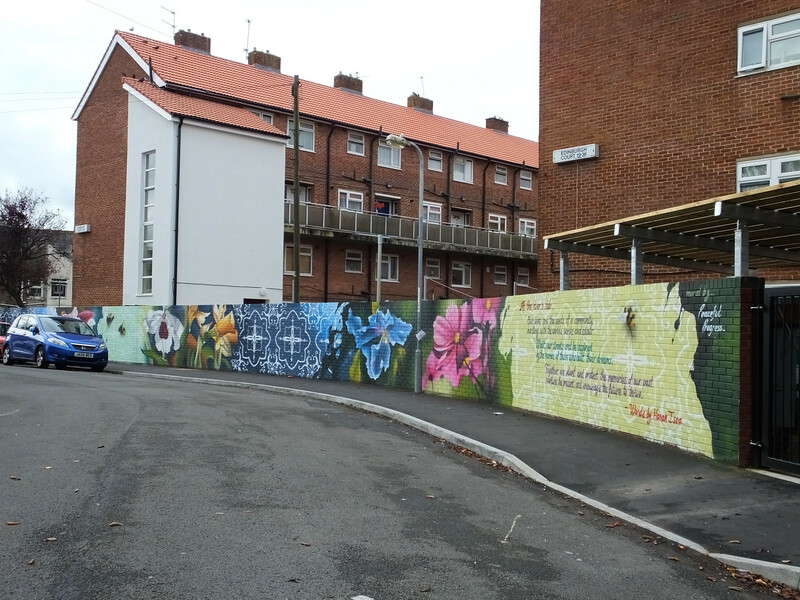 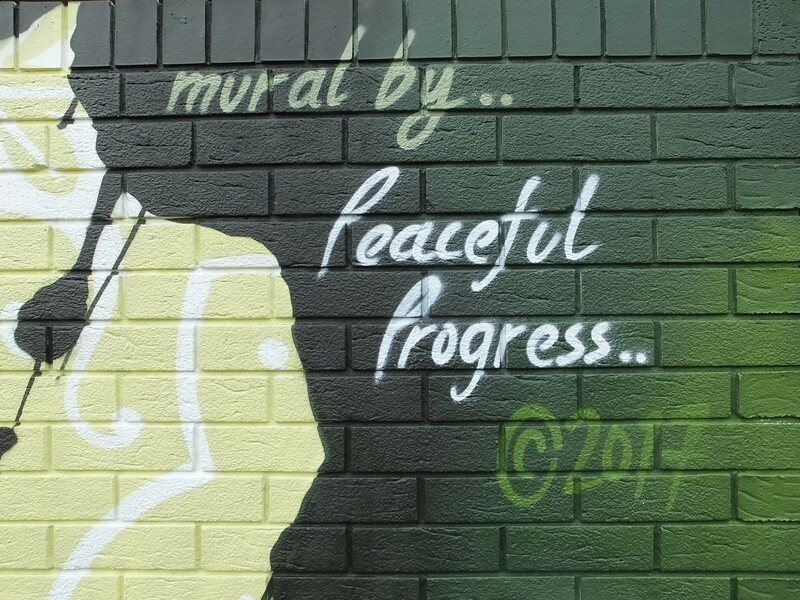 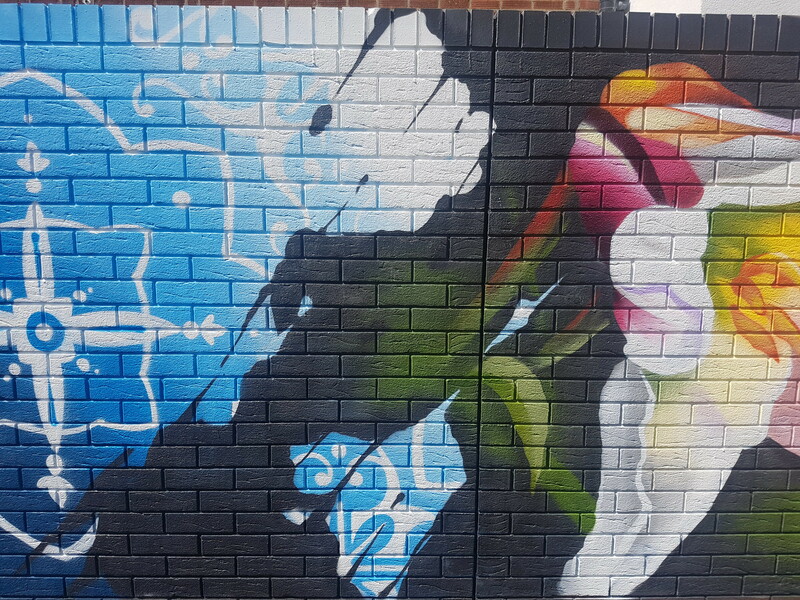 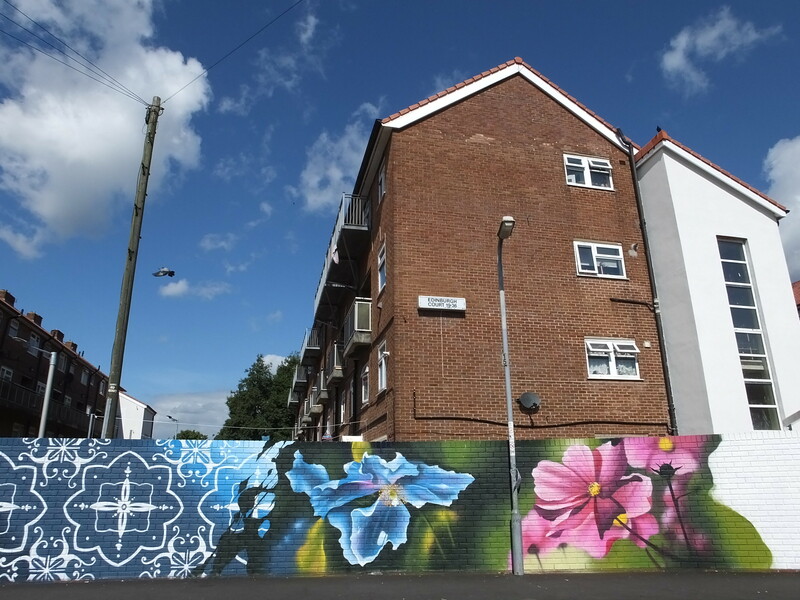 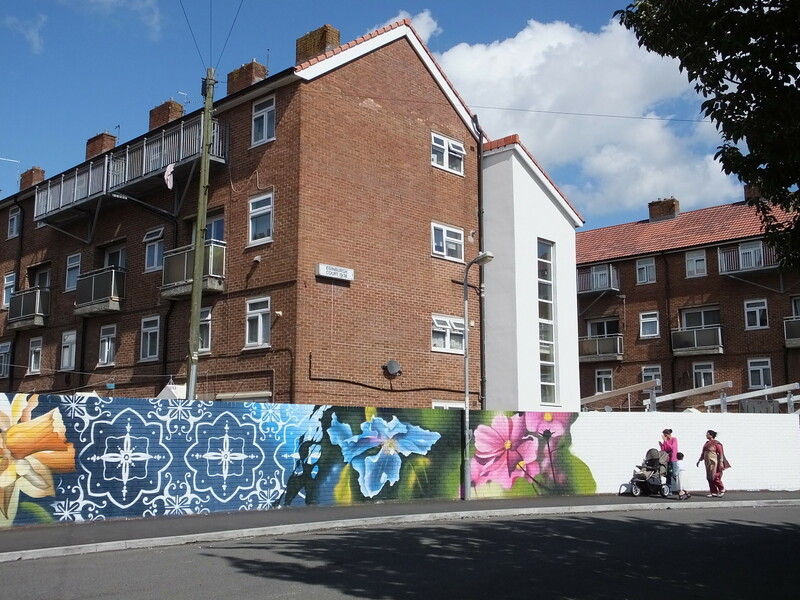 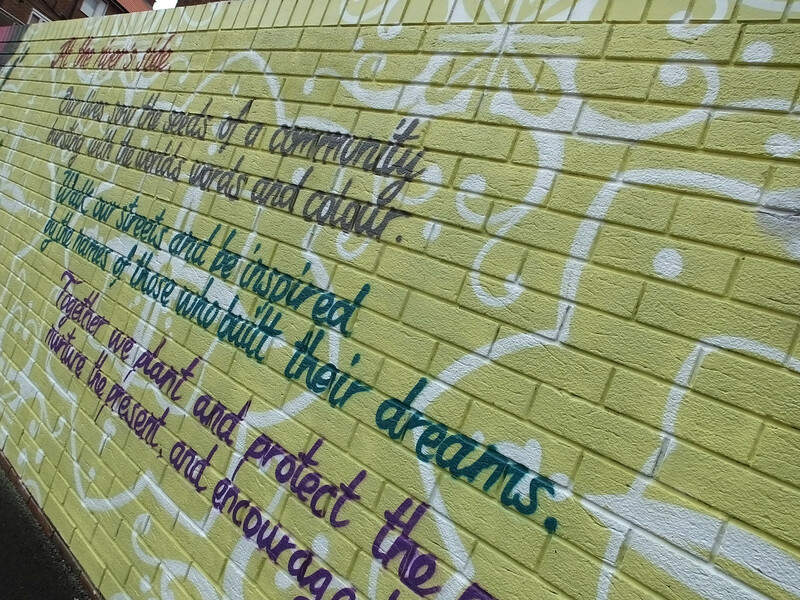 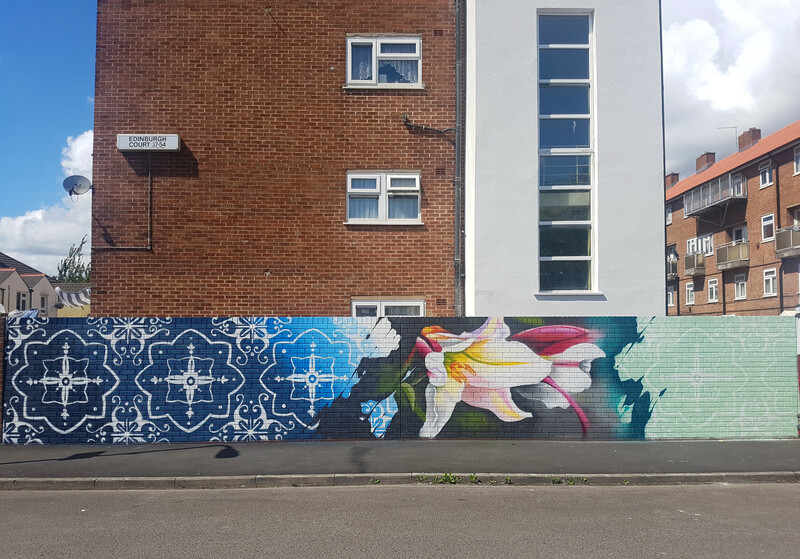 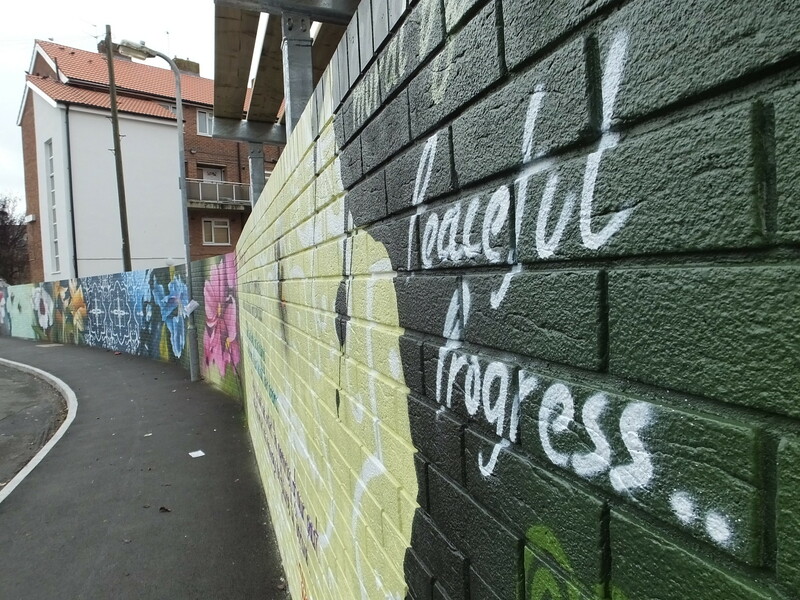 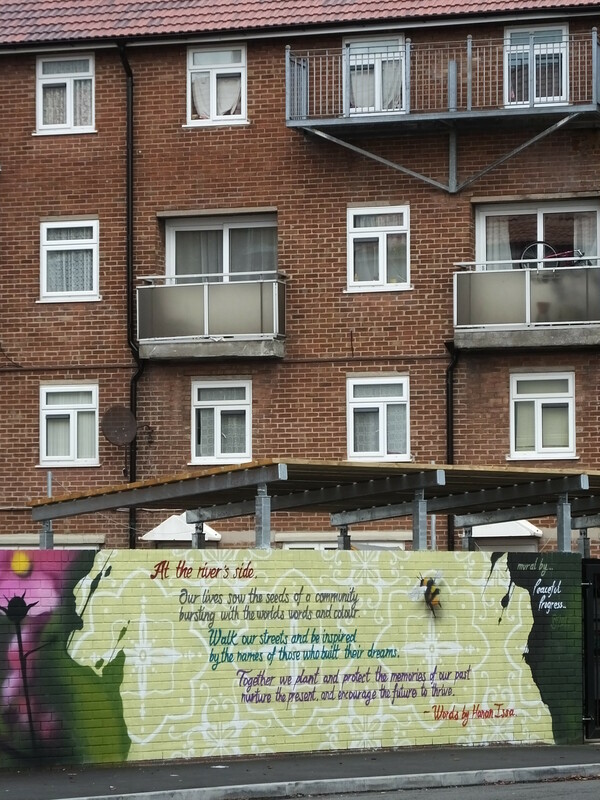 The suburban community of Riverside, located just outside the centre of Cardiff, was the latest to get some attention from local artist Peaceful Progress. 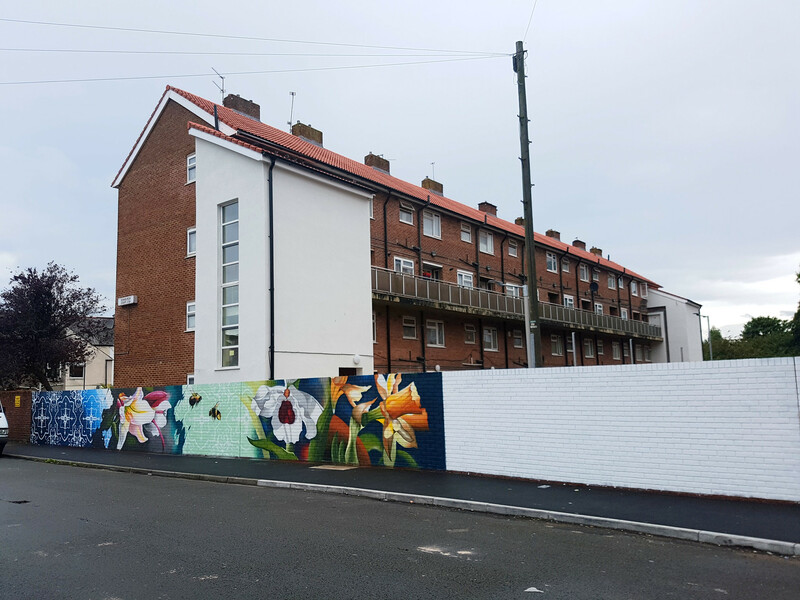 As the Edinburgh Court housing block got a makeover so did the adjoining red bricked wall. 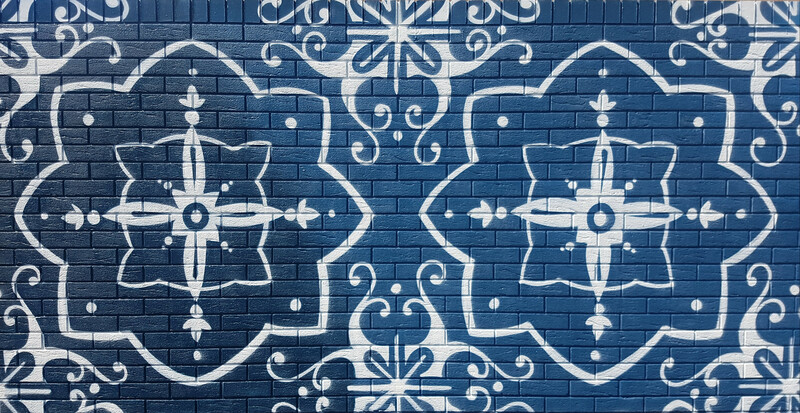 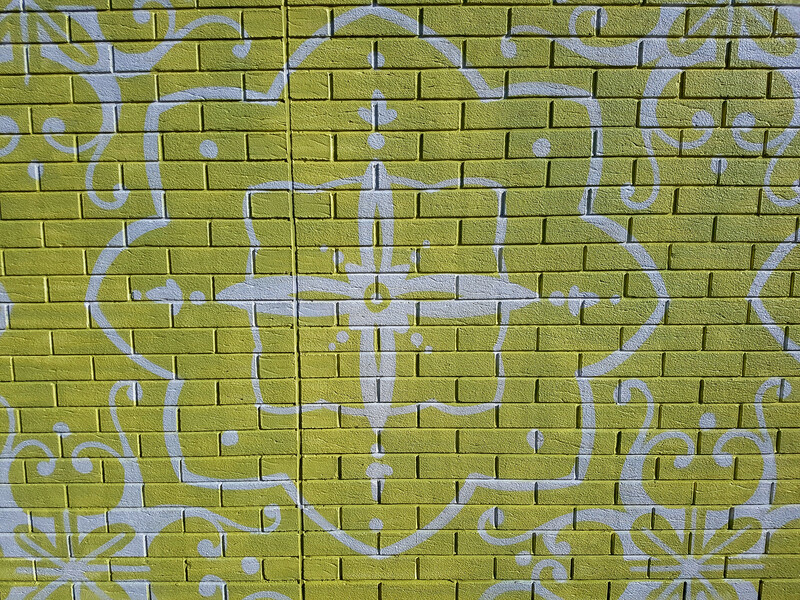 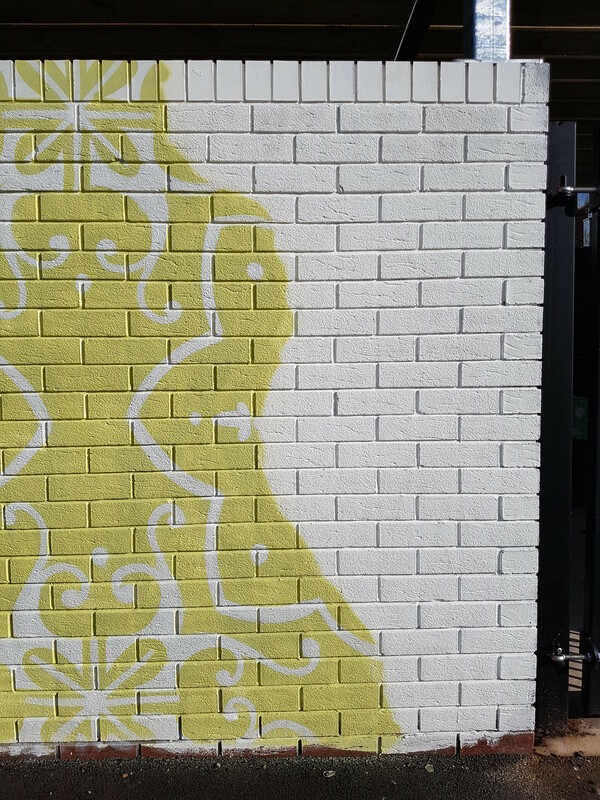 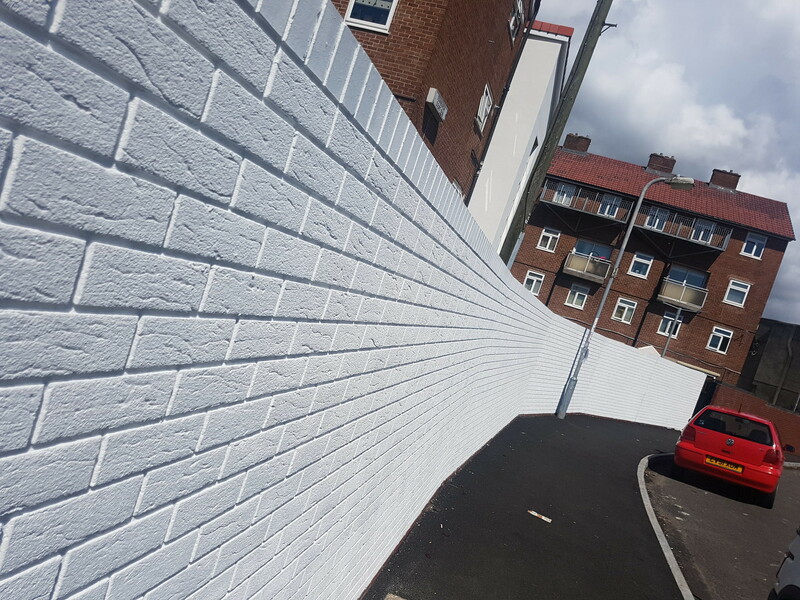 The huge task of painting the 180 foot bricked wall was attacked from the left hand side beginning with a strikingly detailed pattern intertwined with images of nature throughout. 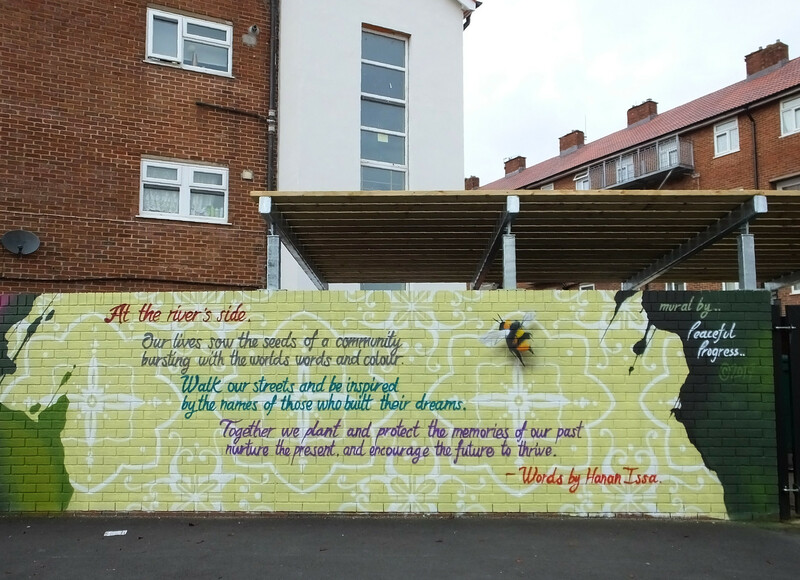 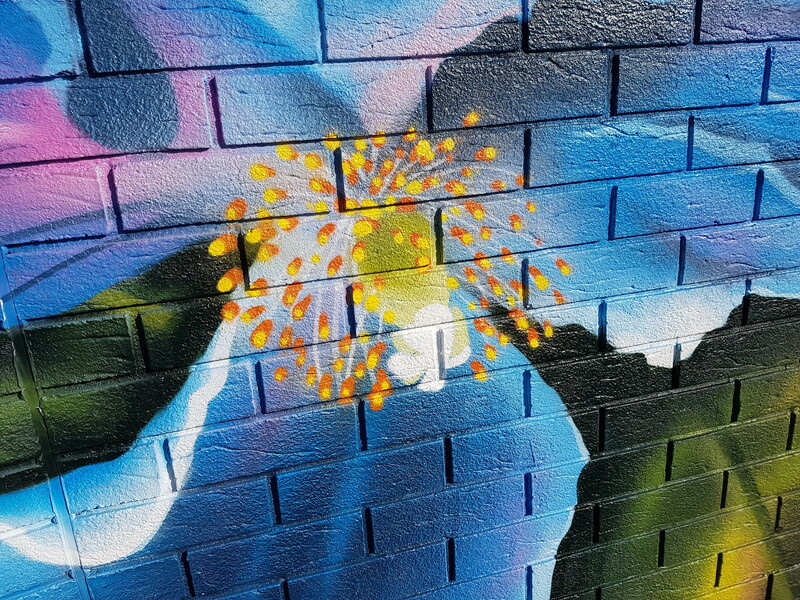 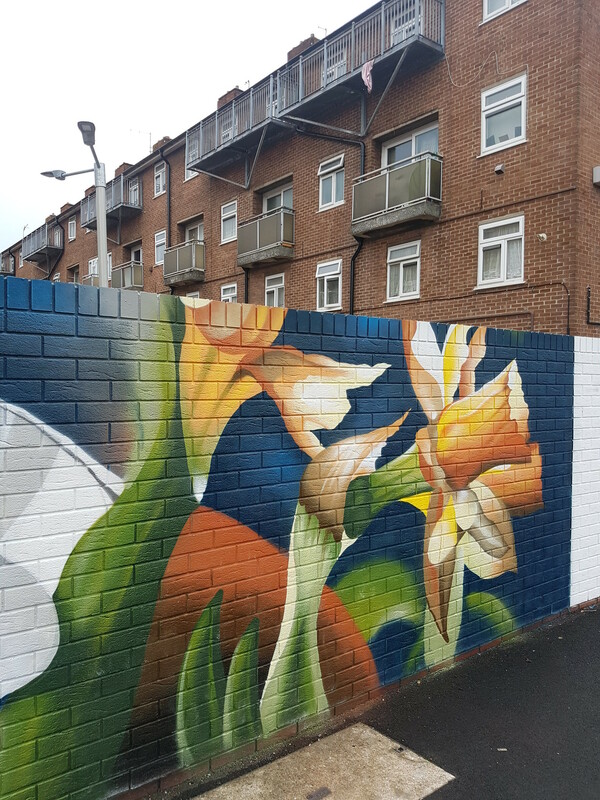 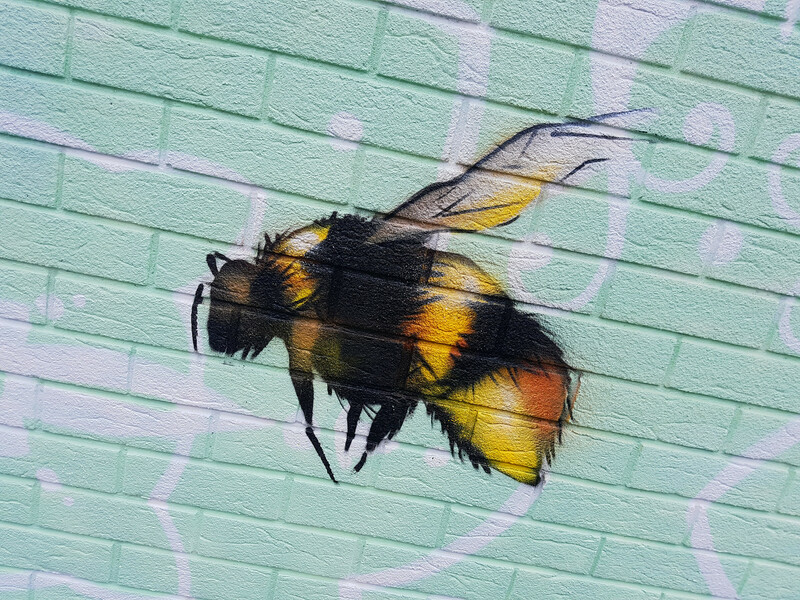 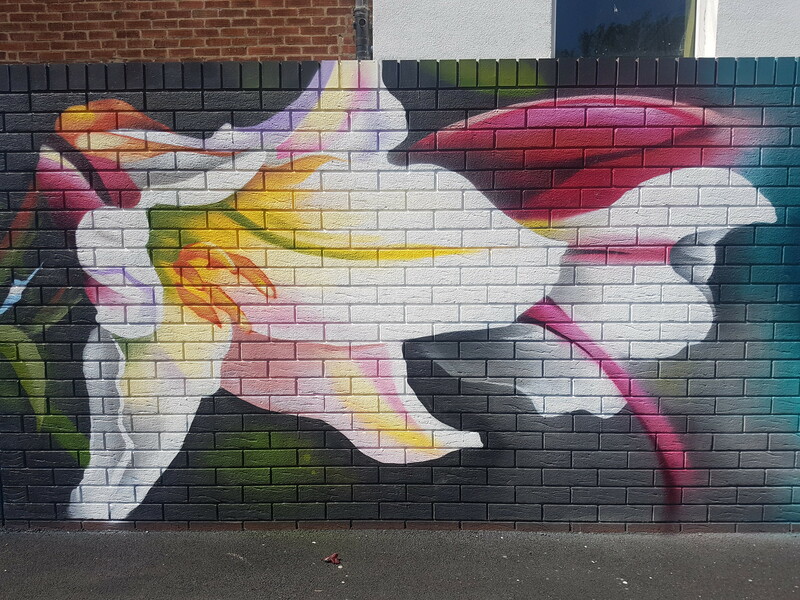 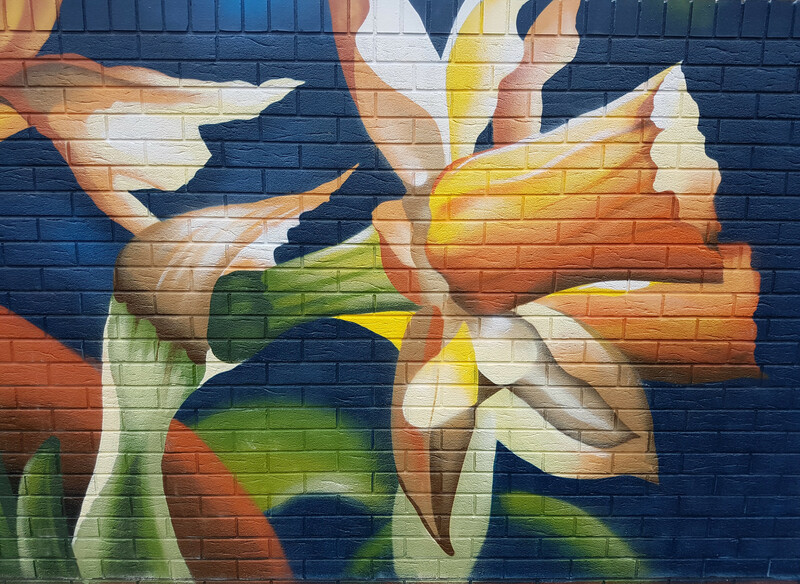 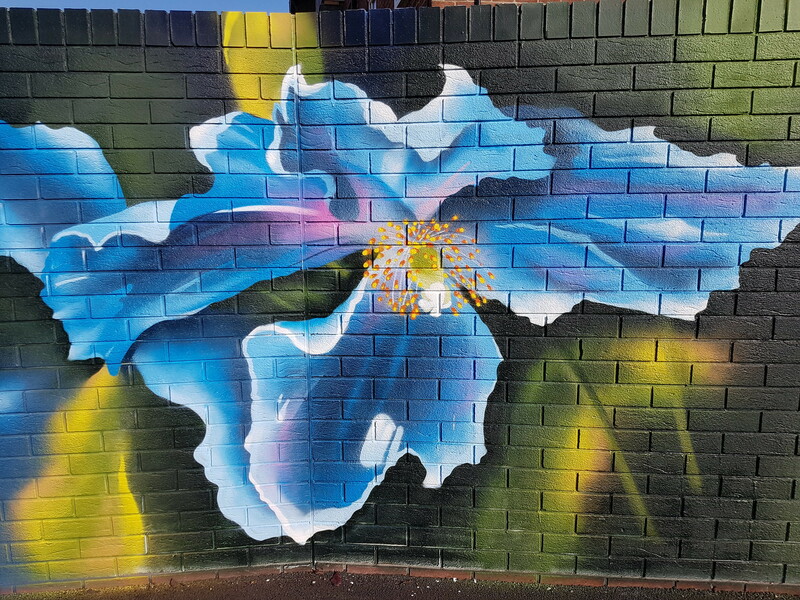 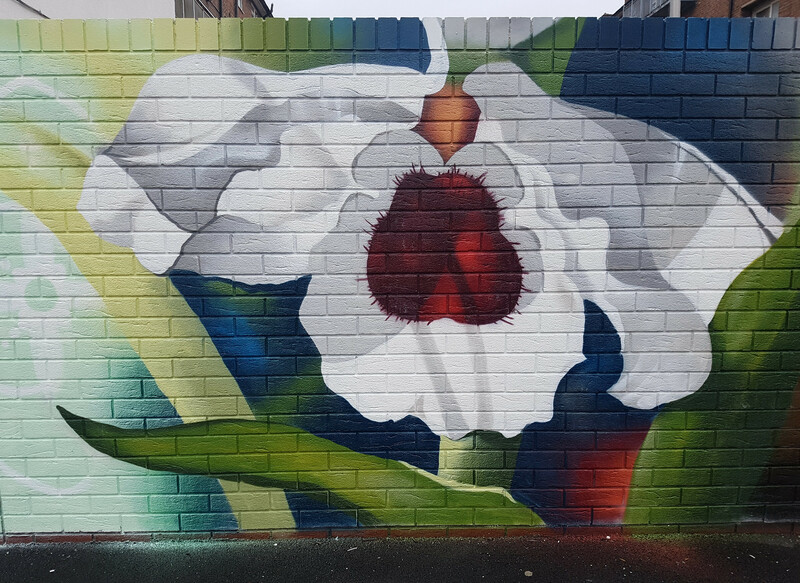 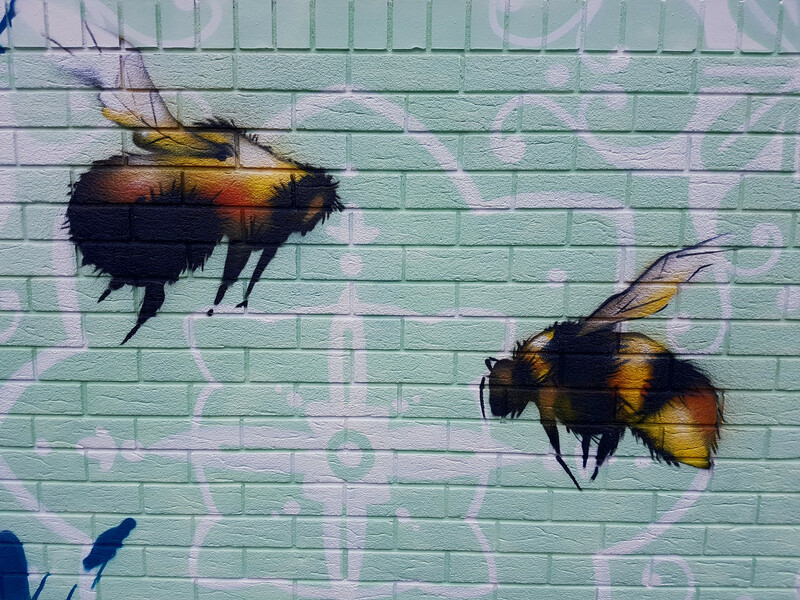 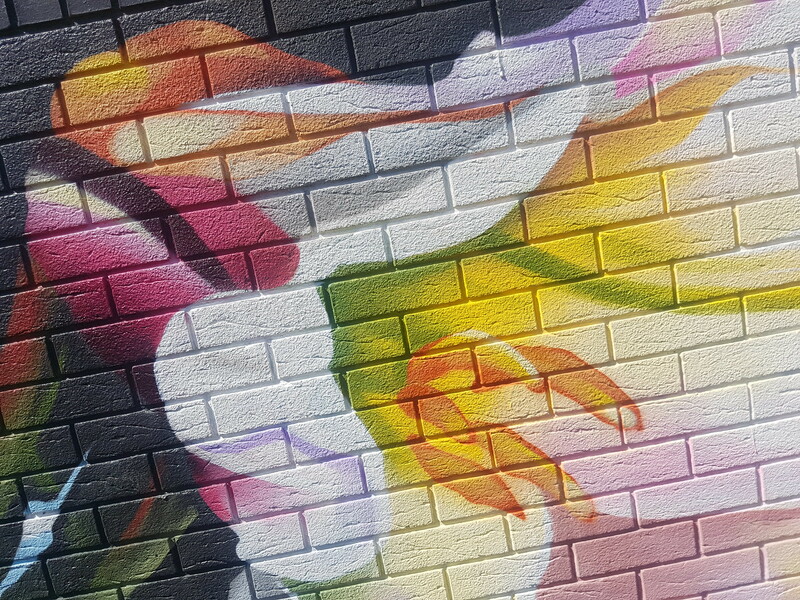 Painted as part of the Riverside Grows Wild community organisation – a host of bees and a wide range of colourful flowers were added to the first phase of the mural. 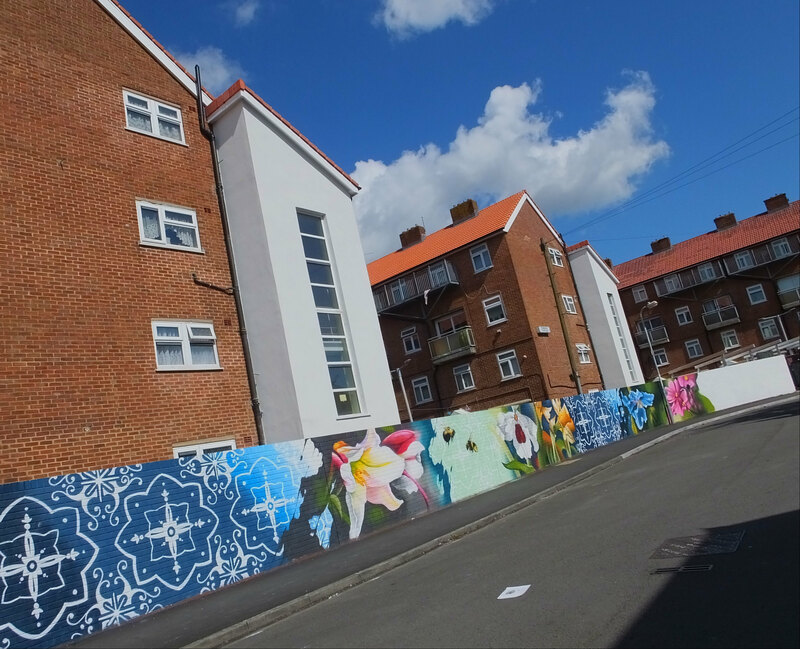 Painting began in the Summer and continued throughout August on Craddock Street in Riverside. 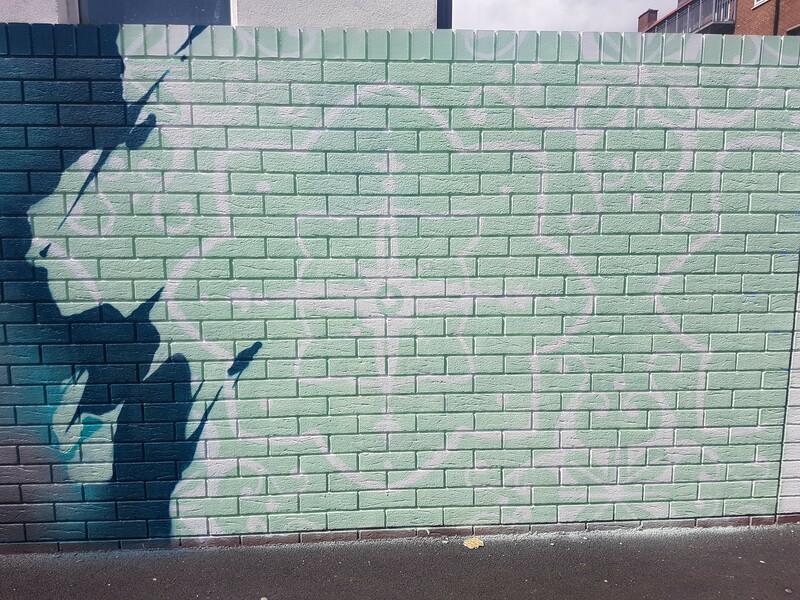 The first phase finished with a definitive straight line but this was soon added to in the next phase with more intricate patterns and even more colourful flowers added. 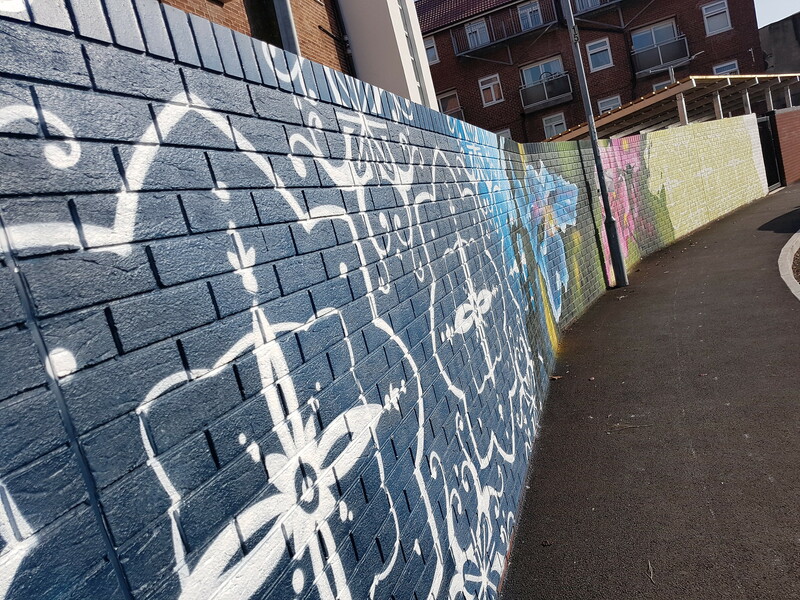 The third phase began in September with a lime green pattern added to complete this section of the wall leading upto door access to a sheltered bin area. 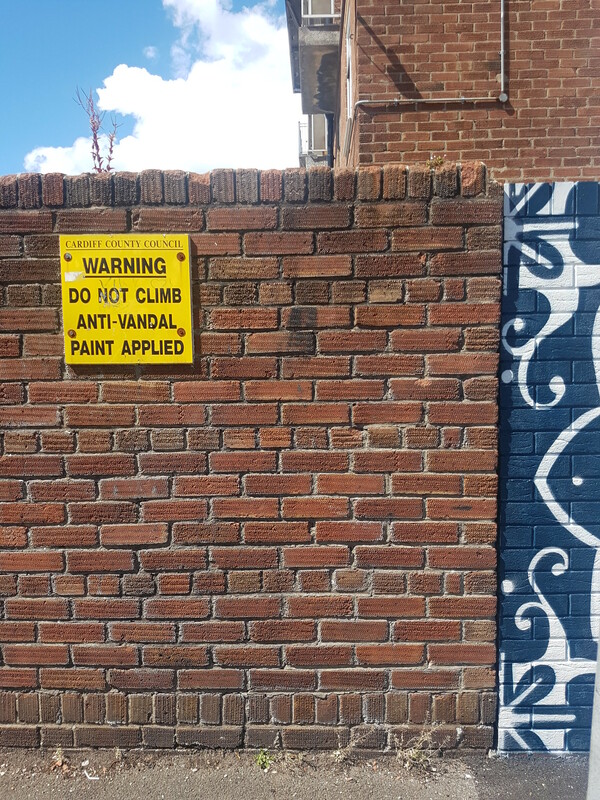 But what was about to appear next? 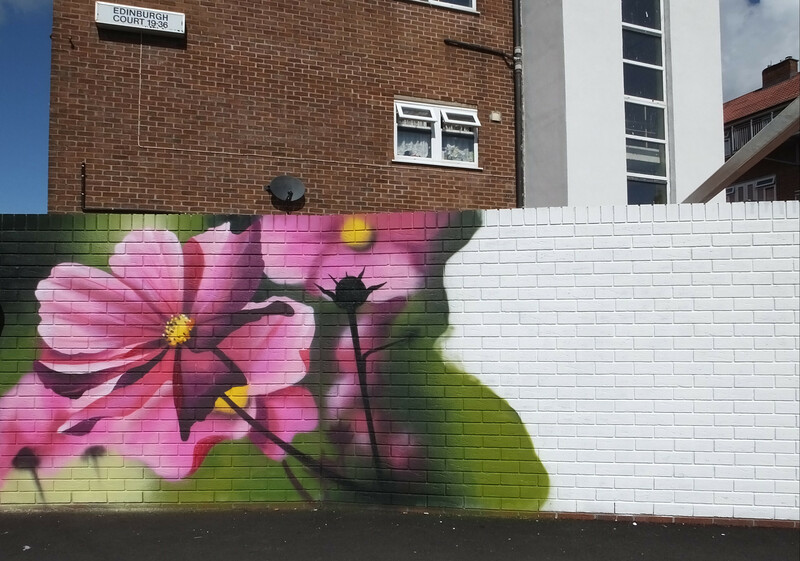 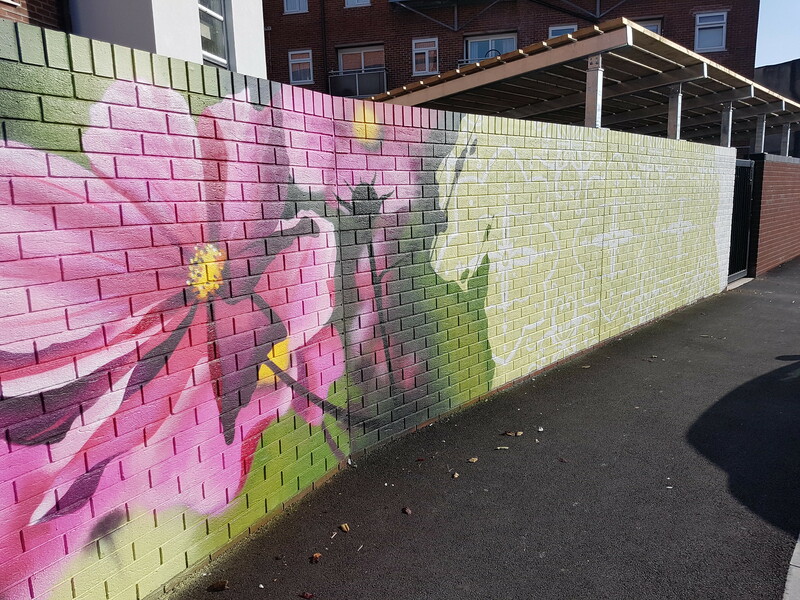 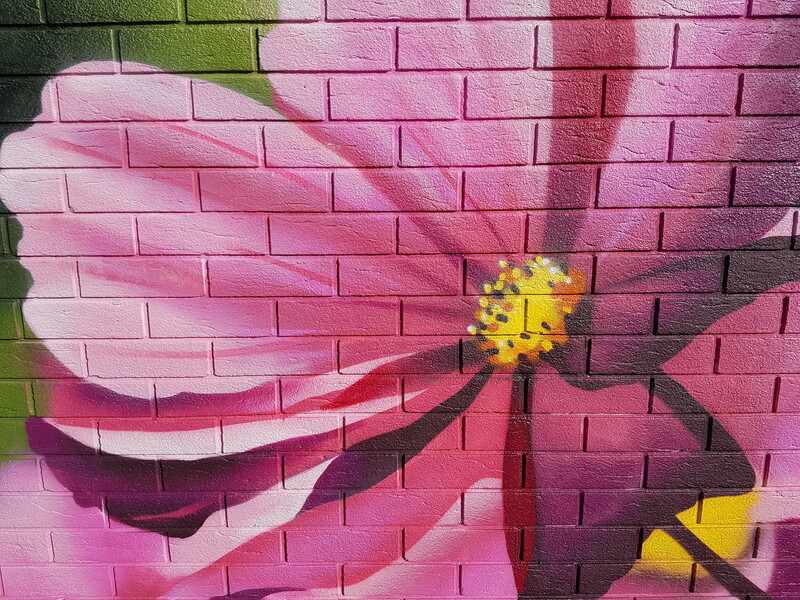 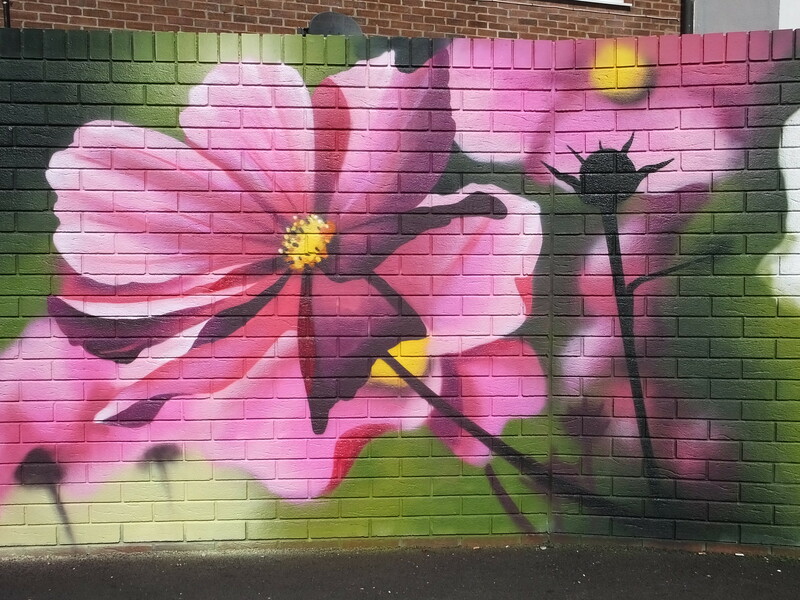 Such a fantastic way to brighten up an unloved wall and Peaceful Progress has nailed each and every bee and flower. 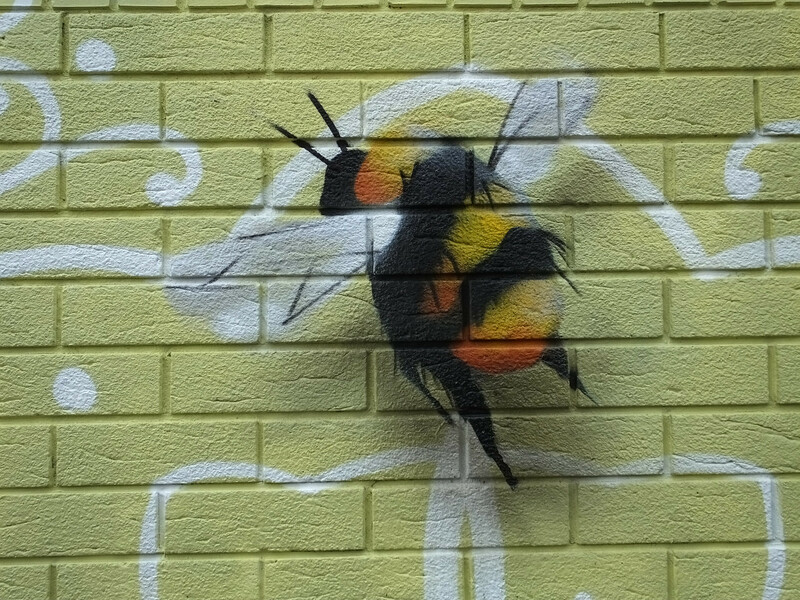 Next Post Best Tepid Swpr!